It doesn’t feel good being stuck with a network and limited functionality really frustrates. 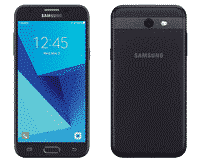 Every one should have freedom to choose their desired network whenever and wherever they want.If your Samsung Galaxy Core Prime is in multi year contract with the T-Mobile that means you didn’t buy Samsung Galaxy Core Prime unlocked. Fortunately, their is a solution for you. Now you can easily get T-Mobile Galaxy Core Prime sim unlocked. You are not gonna unlock T-Mobile Samsung Galaxy Core Prime for free but with us this service is very cheap and hassle free and you’re not gonna regret it. You can also MetroPCS ZTE Avid 4 Unlock. How To Unlock T-Mobile Samsung Galaxy Core Prime? How To Use T-Mobile Samsung Galaxy Core Prime Unlock App Solution? It is very simple to unlock your Samsung Galaxy Core Prime phone with unlock app solution. When you go through purchase and we receive your order, we’ll process it and forward to T-Mobile unlock portal and after some time we’ll send you an e-mail with unlock confirmation.After receiving our e-mail you would need to go in to unlock app and select permanent unlock and after processing is done you’ll get Samsung Galaxy Core Prime network unlocked and ready to use any where. Device Unlock is an Android app that allows you to request and apply a mobile device unlock directly from Samsung Galaxy Core Prime. This allows you to automatically apply Mobile Device Unlock to the device without using a manual code. Please note that when your phone is locked with “Mobile Device Unlock” it’s totally useless to order an unlock code. Just ensure your phone is clean, and not reported as lost or stolen. The advantages of unlocked Samsung Galaxy Core Prime are that you get your freedom to choose any network and nothing is more important then freedom. You also expand resale value of galaxy core prime. You can check more benefits of unlocking your phone here. If you are going to be travelling, then you will require working on different networks. In another scenario if you have bought a second hand galaxy core prime 360GT or are using a ‘pass me down’ from a relative or friend, you would need to unlock the phone to change the current carrier SIM with your preferred SIM. Unlocking your Samsung Galaxy Core Prime will also increase its re-sale value. Why Unlock Your Galaxy Core Prime By LetsUnlockPhone.com? On LetsUnlockPhone.Com, we do every thing we can for customer satisfaction and do our best to serve you. We are specialist when it comes to unlocking phones with unlock app whether your phone is from T-Mobile, metropcs or EE(england). The best thing about our T-MOBILE device SIM unlock APP solution for T-Mobile samasung Galaxy Core Prime is that we provide 24/7 support and the App works worldwide. If you unlock your T-MOBILE SAMSUNG GALAXY CORE PRIME with us, we assure you a 100% unlock success along with security of your personal data and other stuff because this is the only legal method and secure as it is the legit method of unlocking T-MOBILE mobiles thereby you will not lose any data.